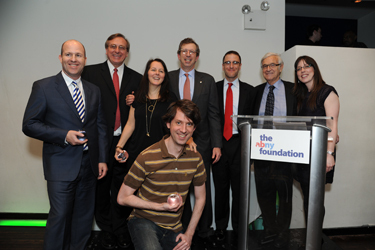 Two weeks ago, we celebrated New York City’s growing tech sector at the 6th annual Spirit of ABNY awards! We were thrilled to honor several leaders who are currently playing a significant role in advancing our city’s tech sector (see picture below). Special thanks to all of you who joined us and supported this year’s Spirit of ABNY event! ABNY is thrilled to keep the proverbial fire burning bright, as we joined the Center for an Urban Future yesterday in releasing the most comprehensive report to date about New York City’s tech sector. The report, entitled “New Tech City”, was written and published by the Center for Urban Future and was made possible through the support of ABNY and AT&T New York. We hope this research spurs public debate about how we all can continue to support this thriving industry and further diversify our economy and remain competitive in the global market. The NYC Digital Startup Index can be viewed here. A one page infographic about the report can be viewed here. ABNY is proud to support the Center for an Urban Future’s groundbreaking work on New York’s tech sector.